There are currently 114,604 users on this website. 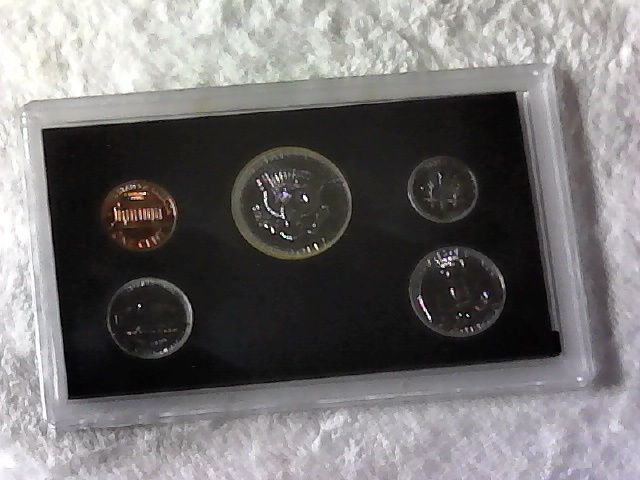 1970 S Proof Set. 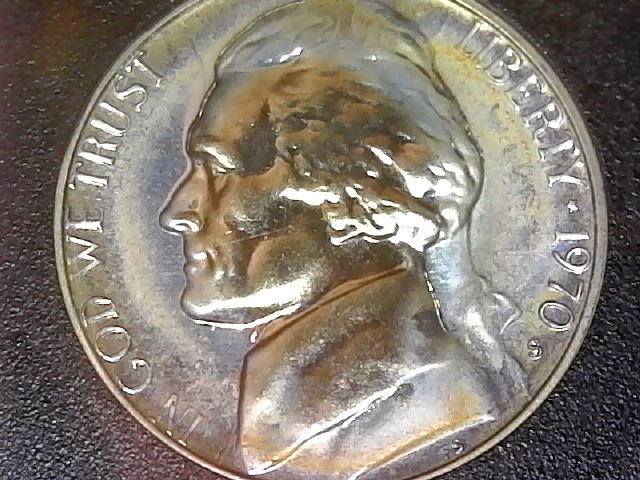 Really Strange Toning! What Caused It? Air pollution at the mint. The packaging. Most US mint packaging is destructive to the coins. The mint holder and poor storing environment. 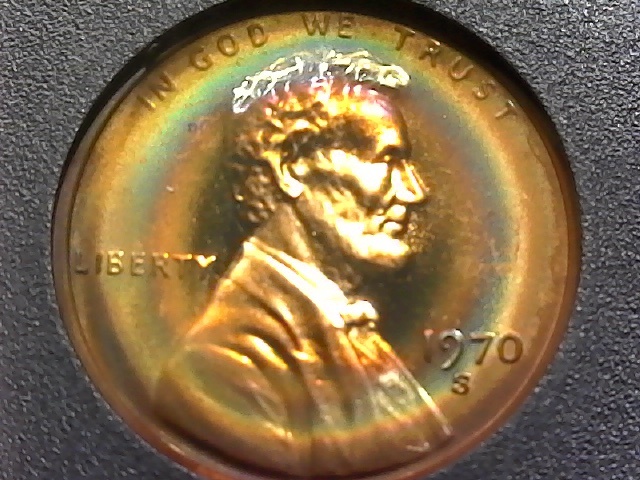 The cent has a premium because of the toning,more than a little common. Check the bay for sold values. The mint holder and poor storing environment. Correct. The lens is not truly sealed, that is, it is not air tight. 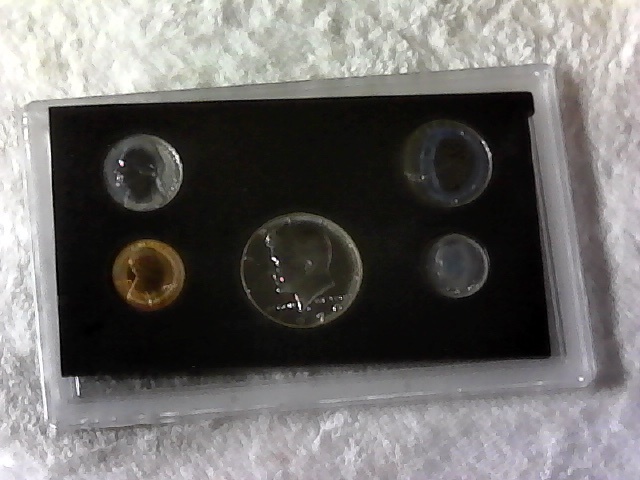 The environment where the set is stored can affect the coins. That is called target toning. 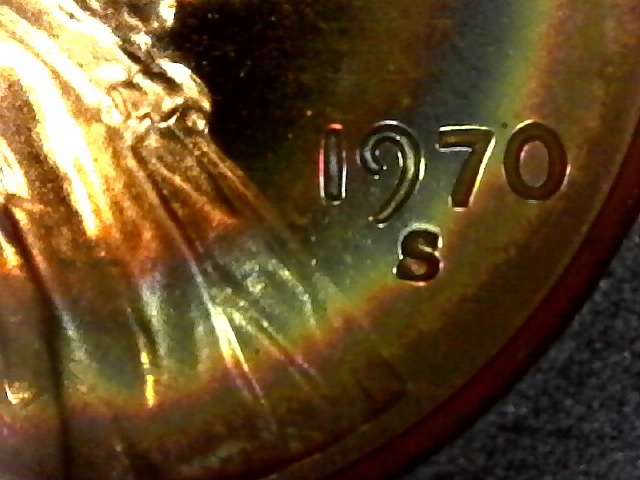 I have found it to be mostly on the 70S proof sets. But, I imagine that it can be found on other years also. Some of it can look real hazy and not attractive. Yet I have seen some that really pop and have great eye appeal. Like the Cent in your set. 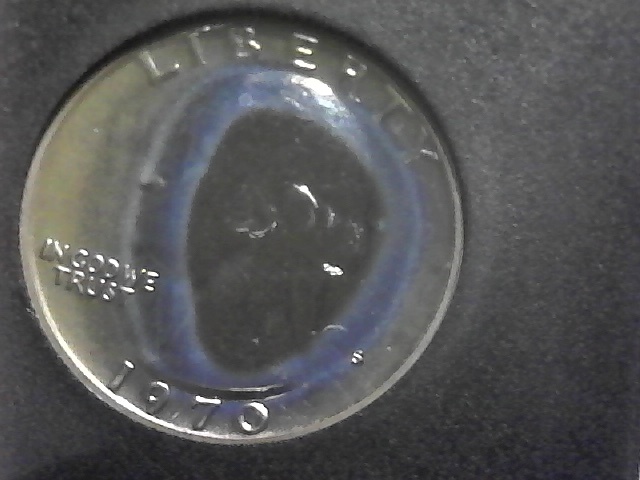 The cent obverse is great, but some of the reverses look nice as well imo. I like the toning. Nice LMC. 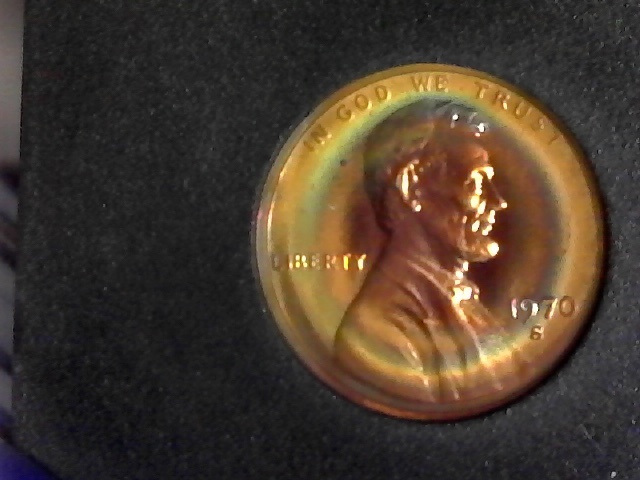 This toned proof Lincoln is odd indeed .I'm sure there is a collector out there that would pay dearly for it . It is a well know type of coin. A mix of whatever chemicals were in that holder, humidity and, heat. 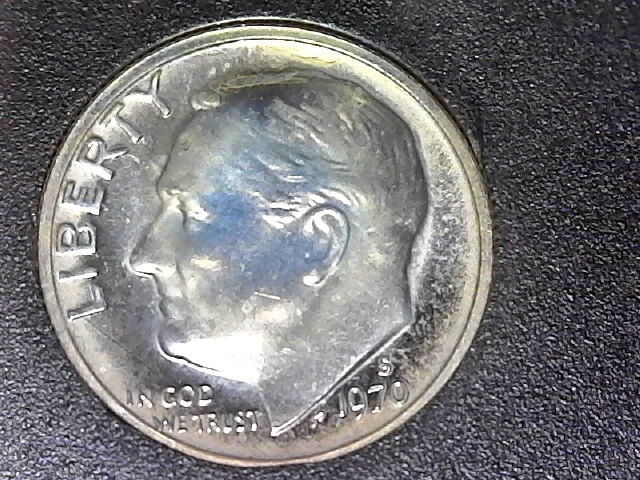 The 1970 sets are well known for causing toning. I'd like the see the reverse of that Lincoln, it's a BEAUTY! 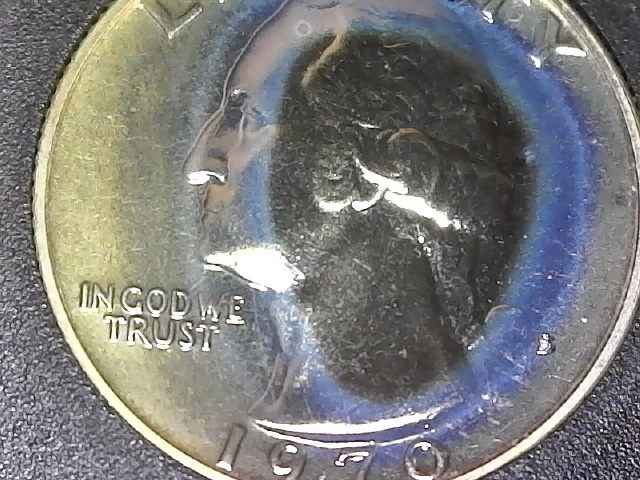 Very nice toning on the LMC! Poor packinging and poor storage conditions mostly. Humidity and temperature swings off the charts don't help either.. These are just some of the reasons these sets tone the way the do. Sometimes it enhances the value. Most of the time it doesn't. If it was just the holder ..
All the 1970 sets would be that way. I would put it mostly on the Humidity and temputure. And as Jbuck posted .. the holder is not sealed.